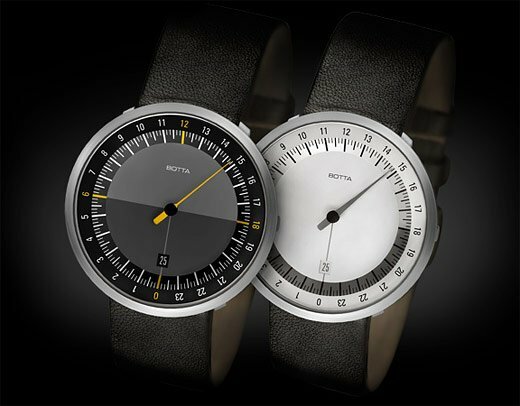 This new watch from Germany’s Botta Design can’t be bothered with two full rotations of the hour hand over the course of a 24 hour day. 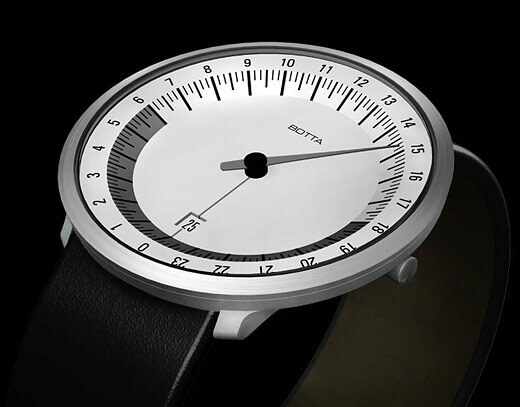 The Botta UNO 24 uses a single pointy hand that rotates at 1/2 the speed of a normal watch, letting you view all 24 hours of the day without a 2nd time around the dial. Each of the 24 hours and hash marks on the face of the watch correspond to the position of the Sun in the sky. And the time can be read within 5 minutes of accuracy with just a single hand (clearly, the UNO 24 isn’t for the detail oriented). Each UNO 24 is crafted from a stainless steel body with a RONDA Swiss movement and a durable sapphire mineral glass crystal. 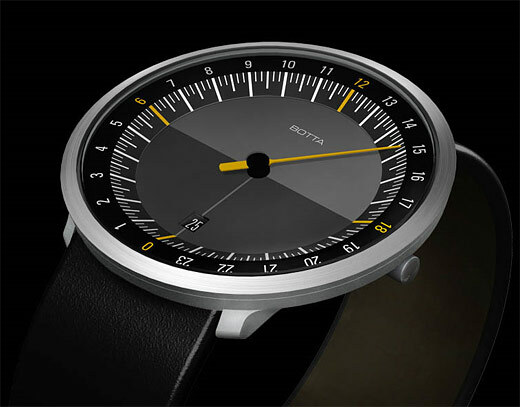 Water resistance is rated at 3 ATM, and the watches available with either a leather or stainless steel band. 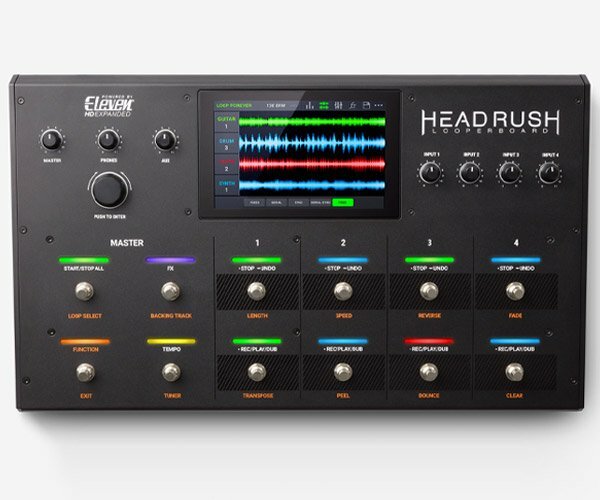 The UNO 24 will start shipping this December, and can be pre-ordered from Watchismo with prices starting at $395 USD.